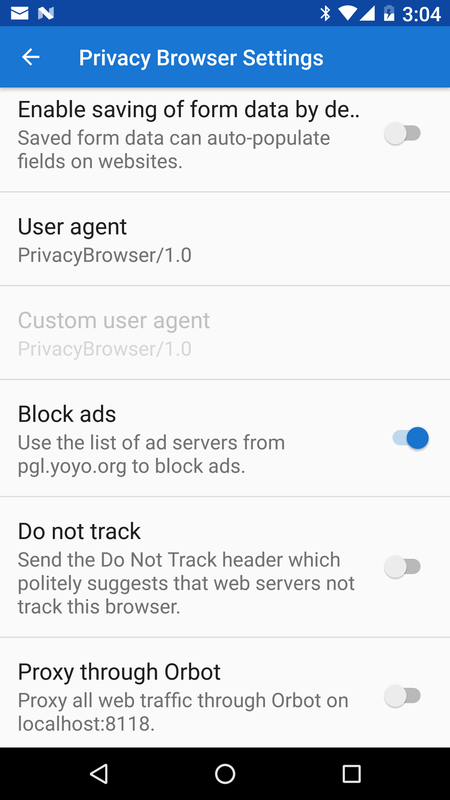 Privacy Browser 1.16 has an integrated ad blocker based on pgl.yoyo.org’s ad server list. It is enabled by default. Ha Duy Trung wrote an interesting guide to ad blocking in WebView, which was what initially pointed me to pgl.yoyo.org as the source of a good ad server list, although my code implementation ended up being substantially different than his example. With this release, Do Not Track is now disabled by default for new installations. I have written before about how Do Not Track is privacy theater. The setting for current installations will not change and it is easy for users to enable DNT if they desire to do so. 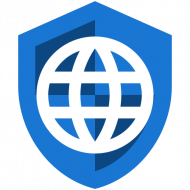 The default user agent was supposed to change to PrivacyBrowser/1.0 with the previous release, but due to the lack of modifying the most important section of the code, it didn’t actually happen until now. There is now an option to enable full screen browsing mode, which is set to disabled by default. This prevents the accidental entering of full screen mode for those who don’t want to use it. An interesting bug was fixed that caused the navigation bar to turn gray under a specific set of circumstances. One bug and one feature request have been submitted to Google’s Android issue tracker. The target API has been bumped to 25 and the partial Spanish translation has been updated. Stoutner, Proudly powered by WordPress.